March is Social Work Month. This year’s theme is, “Elevate Social Work.” In honor of Social Work month and in our attempt to elevate our practice, OncoLink is featuring social workers and their own voices. This entry is from Amy Hoch, an oncology financial navigator/social worker. Social work runs in my family. I was introduced to the profession at a young age by my mom way before I knew my own career path. I spent time in her office and helped at fundraisers. As I finished my undergrad work, she earned her MSW and introduced me to an education and career in social work. I was then on my way to earn my own MSW. As I began my own social work career I helped those diagnosed with mental illness thrive in the community and avoid homelessness and hospitalization. I stepped into leadership roles both in clinical supervision of the staff and administration of the program. I also served as the Quality Improvement Director and developed training for the case management staff. After ten years I left mental health and entered health care through the case management department at Grand View Health. Soon I will celebrate my 15th year at Grand View with experience in Case Management, six years as an ER Case Manager, more recently Oncology, and now the first Oncology Financial Navigator in the Cancer Program. As the Oncology Social Worker, I found myself spending most of my time assisting with patient’s financial, insurance, and copay concerns. They often came to me emergently, needing money that they didn’t have in order to start their treatment. It was common for my patients to be faced with the decision to pay their mortgage or pay for their treatment. Being diagnosed with cancer is difficult enough but the financial toxicity associated with their treatment makes it extremely stressful. It became more apparent that they were concerned with how to pay for their care rather than their survivorship. I would evaluate ways for them to start their treatment but knew that my interventions were a small piece of what was possible for them and what they deserved. For over a year and a half I learned, researched, and advocated for a financial navigator position for our cancer program. With the support of my program leader, it became a reality in September of 2018. It can take a while from identification of a need to it being implemented. How did (do) I keep going? I write down things that my patients say to me such as “You are my only hope” and “You are a blessing to our family”. I believe that being a social worker means being a leader. My experience in mental health was that social workers were seen as the “go to” or the expert. In healthcare, we are a smaller piece of the multidisciplinary pie where leadership is even more necessary in order to be seen and heard on behalf of our patients and the profession. Finally, as a believer in self care and continuous learning, my goal every day is to show up as my best self. Happy Social Work Month to all of my fellow social work leaders who are ELEVATING the profession each and every day! Aimee Hoch, LSW, is a Masters Level Social Worker with 20 plus years experience in both healthcare and behavioral health. She earned her MSW from Fordham University Lincoln Center. A Financial Navigator for the Oncology Program at Grand View Health, she is an advocate for clients and cancer patients by meeting them with empathy and connecting them with resources to support them during their most vulnerable times. Her passion for empowering women guides her work as a speaker and educator inspiring audiences to embrace self care as the first step towards fulfilling their dreams and being of service to others. Aimee’s speaking topics include self care, personal boundaries, mindset, creating a vision for your life, and more. 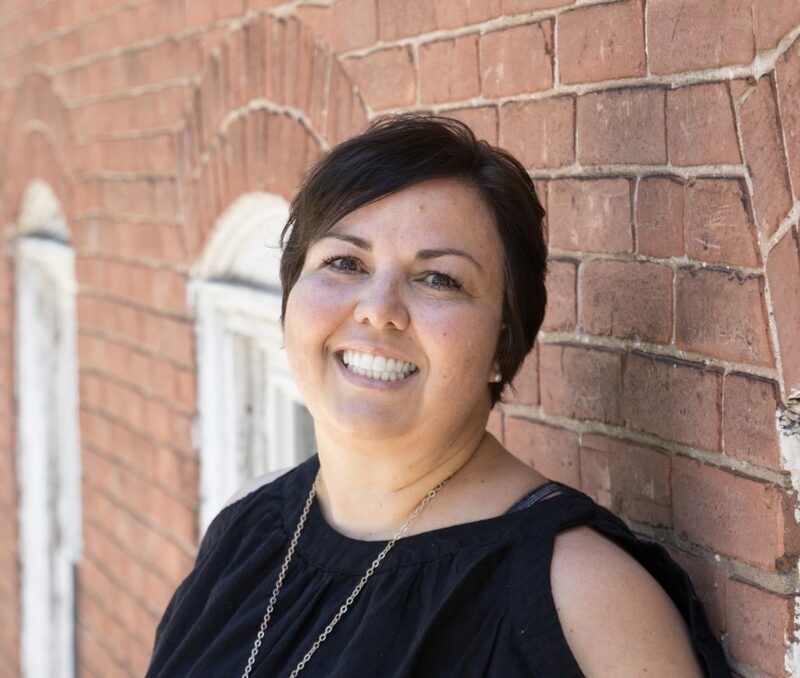 Aimee has spoken at workshops, retreats, and programs for Sisters U, Bucks County Community College, The Success Connection, Grand View Health, and more. She’s been a guest on The Can Survivor with Kelsey Smith podcast and featured in publications including U magazine. She is launching a podcast of her own this Spring with a fellow social work colleague and co-host. Aimee is a mom and dragon boat enthusiast. She lives in Souderton, PA with her husband and two daughters. This entry was posted in Homepage, OncoLink News, Oncology Stories and tagged social work month, social work stories. Bookmark the permalink.